In the third and fourth chapters of Orality and Literacy, Walter Ong compares characteristics of orality and literacy, showing how consciousness is dramatically changed – “restructured” – by literacy. In exploring this transformation, though, he appears to miss the full significance of the confluence of several of the changes he describes. Ong examines orality and literacy in relation to a variety of psychodynamics of orality, characteristics of thought and expression. He shows how oral story forms differ from literate in style and structure; the types of knowledge, and conceptualization that each favours. He further explores differences in use of memory between orality and literacy; in what is remembered, and how. Against this extensive background he looks at research on early textual works based on oral creations (Milman Parry on the Iliad and the Odyssey; qtd. in Ong: 58), and more recent work with living narrative poets in Yugoslavia (Albert Lord; qtd. in Ong: 59), and concludes that oral memory works quite differently than literate memory: the “fixed materials in the bard’s memory are a float of themes and formulas out of which all stories are variously built” (60). He contrasts use of such formulaic elements with the methods and expectations of literate people memorizing from text, and writes at length about differences between orality and literacy with respect to the possibility of “stable” repetition or reproduction, and makes the point that even the idea of faithful reproduction differs between the two. Ong relates that Lord, in his work with the Yugoslavian bards, found that “[l]earning to read and write disables the oral poet . . . it introduces into his mind the concept of a text as controlling the narrative…” (59) This was in reference to the process of oral composing, but it reflects the fact that oral narrative is by nature fluid, that variations in the story between tellers are part of the evolution of the culture and the form. 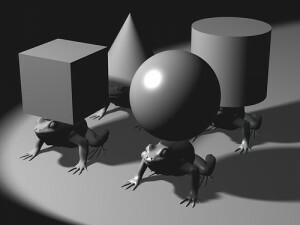 Such variations reflect the unique storyteller, the audience and the circumstances of the telling; the unvarying essentials reflect the needs and beliefs of the group or culture. “Originality”, Ong writes, “consists not in the introduction of new materials but in fitting the traditional materials effectively into each individual, unique situation and/or audience” (60). Ownership of the essential story in oral culture is communal; restrictions on how a story is told or used, by and to whom, in what season or context, arise from – and belong to – the story, the community and the culture. This creates a world in which neither the storyteller nor the listener exists in isolation; they are dependent each on the other, partners in shaping and perpetuating narrative. The Okanagan author Jeanette Armstrong writes that “I am a listener to the language’s stories, and when my words form I am merely retelling the same stories in different patterns” (qtd. in King: 2). All this serves as the groundwork for a detailed examination of how consciousness itself is restructured in a literate world. The effects are profound. 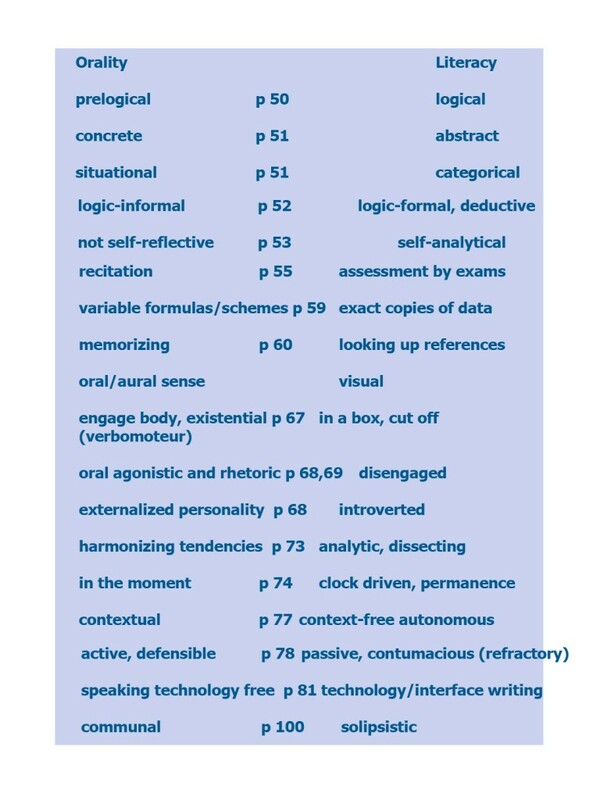 Language, through text, becomes external – “detached from its author” (78); as such it is “context-free” or “autonomous” (Ong references the work of E.D Hirsch and David R. Olson respectively; 79) and becomes irrefutable, unresponsive, and altogether unaccountable – as Ong delightfully says “inherently contumacious” (79). It is now mediated, requiring tools (and propagating technologies)… it precipitates a fundamental shift in the human awareness of self in place, and in time; and it greatly increases the potential for restriction of access to knowledge and dissemination of ideas. Tucked among this survey of shifts in human consciousness and culture Ong mentions the potential for private ownership of words, noting that “typography had made the word into a commodity” (131), and acknowledges that it was a boon to the increasingly individualistic nature of human consciousness, and the growing tendency to perceive “interior . . .resources as thing-like, impersonal” (132). Unfortunately, he pursues this idea no further, and so overlooks one of its most significant implications. It seems that he knows it well subconsciously, yet while it informs his entire work he doesn’t actually address its implications explicitly. The process of transferring “memory” outside the mind paradoxically makes story both external to the thinker and external to the community. Ong has already observed that “[p]rimary orality fosters personality structures that in certain ways are more communal and externalized, and less introspective than those common among literates” (69). But he stops short of recognizing the full consequences of this particular psychodynamic – and sociodynamic – shift: that literacy makes possible both the private ownership of knowledge and the knowledge of private ownership in a way never before imaginable. In an oral culture, knowledge, once shared, was ‘common’; if ‘protected’, was secret. While knowledge had currency, and rules or custom or interests might determine what was told to whom, by whom, and when, its commodification in the modern sense was impossible. Like the Kiowa grandmother in N. Scott Momaday’s novel House Made of Dawn, oral peoples knew that words “were beyond price; they could neither be bought nor sold” (85). Knowledge could not be packaged for sale, nor last year’s knowledge devalued and replaced – at a price – with this year’s. Private ownership of land and resources is likewise enabled by literacy; being dependent on the ability to demonstrate and enforce possession. The ability to create, delineate, and enforce ownership through what are essentially ‘text acts’ allows relations of ownership to take place at a distance; removes the need for physical demarcation and presence. Physical possession is no longer nine-tenths of the law. And in a literate world, the two can be combined: knowledge can be owned, controlled, traded, suppressed, or disseminated even by those who can not create it themselves. Ong apparently does not appreciate the broader sociodynamic implications of literacy in relation to the existence of textual knowledge as a commodity. Ironically, the money he earns for his publisher is a manifestation of what Ong overlooked. King, Thomas. The Truth About Stories: A Native Narrative. Toronto: House of Anansi, 2003. Momaday, N. Scott. House Made of Dawn. New York: HarperPerennial, 1999. Ong, Walter. Orality and Literacy: The Technologizing of the Word. London: Methuen, 1983. It was difficult to choose one article to comment on, as several of the readings for Module 2 inter-weaved together so nicely. I read several together in one sitting and as I began the last article, the ideas suddenly began to synthesize. I was brought to alarm by The Instability of the Text, and the inevitable loss of information and knowledge. Perhaps a great part of the points raised in the readings are common sense, but it is so much more daunting to suddenly realize that a great part of our knowledge today is stored as a series of 0’s and 1’s. And just like a simple virus can completely wipe out a hard drive, something analogous could affect our network servers and delete everything that was stored on the server. Language itself is ever-evolving. The Oxford English Dictionary documents these changes in the English language by showing various uses of each word with a variety of quotes from different periods of time. This evolution is also evidenced by the fact that reading Shakespeare can sometimes be like reading a whole different language. Add to this the impermanence of the medium. In comparison to our ancestors’ stone engravings, our ink and paper manuscripts are easily destroyed—hardly permanent. In elementary school, a high interest novel such as the latest Harry Potter paperback cannot last very long before it requires a replacement. With digitization, vast volumes of books such as the Oxford English Dictionary, as well as encyclopedias can all be reduced to one DVD. O’Donnell notes that technology is constantly changing and machines become obsolete very quickly. It is obviously much easier for an archeologist to read a stone engraving than a small, shiny disk. O’Donnell opens his article with a brief discussion regarding variations among copies of books from the same publisher, same edition. The abundance of multiple copies makes it a difficult task to ascertain reliability—which version is the truest to the author’s intentions? Even if we had all the text down pat, what about the formatting? The use or lack thereof could largely point to the meaning of the text to (i.e. shape poem). The accessibility to the text is another issue. O’Donnell discusses various types of software used to open data files, but recognizes that some are more common than others (i.e. .pdf) but each also carry their own advantages and disadvantages. For example, some cannot be edited, others provide a certain type of encoding only. In his article, Kelly describes a dream dating back to the great library at Alexandria, “to have in one place all knowledge, past and present. All books, all documents, all conceptual works, in all languages”, and argues that the Google Books initiative makes this dream seem possible. The only difference is, with digitization, the library is not only restricted to the elite, but becomes “truly democratic, offering every book to every person.” The archival of ‘all knowledge’ is a formidable feat, only possible through digitization with the technology that we have today. Scholars in developing countries can now have access to items that they previously would have needed to travel halfway across the world to get. Patients who want to learn more about their afflictions or the most recent research can access what was previously open to physicians only. O’Donnell makes a strong case. Text cannot be permanent and reliable if we represent text digitally. However, in light that language, and life itself is ever-changing, is it imperative that text be permanent? Why Teachers Need to Understand the Differences Between Oral and Literate Cultures. Take any classroom in a large urban center in Canada and it is possible to find a first nations learner sitting next to someone from Africa, who is sitting behind someone from India, who is across from someone who is from England. Although this class is rich in cultural diversity, it presents challenges meeting the needs of all the learners. One of the differences that teachers may find in their classes is one of oral-literate cultures. Understanding these differences and knowing how to build on their strengths will help educators to provide relevant and meaningful experiences for their students. The understanding of the differences between the non-literate and literate cultures has long been of interest to many scholars. In his essay “Biases of the Ear and the Eye” David Chandler (2009) defines the “Great Divide” theories as theories that “tend to suggest radical, deep and basic differences between modes of thinking in non-literate and literate societies.” Read ‘simple versus advanced.’ Chandler goes on to explain that alternatives to the Great Divide theories are the “Continuity” theories. These theories hold that there is not a radical difference in the modes of thinking in non-literate and literate societies, but rather a continuum of thinking. It is recognized that differences in expression and behavior exist, but not to the extremes that great divide theorists would have one believe. Chandler refers to Peter Denny’s comment that “ all human beings are capable of rationality, logic, generalization, abstraction, theorizing, intentionality, causal thinking, classification, explanation and originality.” He goes on to say that we can find greater cultural differences between two literate cultures or two non-literate cultures. He cautions that it is dangerous to presume that non-literate societies are all the same as there can be great variations from society to society or even with-in a single society. One of the books that Chandler recommends reading “which offer(s) excellent correctives to the wild generalizations “ is Literacy and orality, by Ruth Finnegan (1988) who says that it is important to look closely at the uses of orality and literacy, to look for patterns and differences and through this we will avoid making generalizations about poorly understood uses of orality and literacy. Constructivism is a current and popular learning theory that holds that learners generate knowledge and meaning through their life experiences. This theory recognizes that the cultural background of the learner plays a significant role in the learners understanding of the world. Wertch (1997) tells us that it is crucial that we recognize and honour the learner’s cultural background as this background will help to shape and create the understanding that the learner constructs. If we recognize that some learners come from an oral culture we can use that information and the strengths of learning in an oral culture to provide more appropriate learning opportunities. Croft (2002) in her article Singing under a tree: does oral culture help lower primary teachers be learner-centered? suggests that learner-centered strategies (an important feature of constructivist teaching) that are developed in literate cultures may not be relevant in teaching in an oral based culture. She suggests that the pedagogies used should be developed from the local context. If the learners come from a primarily oral-based culture, use the strengths of that oral culture. Havelock (1991) even suggests that orality is really a part of all of us. “Oral inheritance is as much a part of us as the ability to walk upright.” (p.21) and that all class rooms should encourage singing, dancing and recitations. Understanding the differences between oral and literate cultures is important, not to compare, but to build on that understanding. Chandler reminds us that that social context with which we use the specific medium is really what is most important, not that one is better than the other. Honoring and celebrating both mediums will make our classrooms places of tolerance where no one is invisible. Croft, A. (2002). Singing under a tree: does oral culture help lower primary teachers be learner-centred? Internatinal Journal of Educational Development , 22, 321-337. Fasheh, M. (2002). How to iradicate Illiteracy without iradicating Illiterates. For the UNESCO round table on “Literacy As Freedom.” On the occasion of The International Literacy Day 9-10 September 2002, UNESCO, Paris. Paris. Havelock, E. (1991). The oral-literature equation : a formula for the modern mind. In D. &. Olson, Literacy and Orality (pp. 11-27). Cambridge: Cambridge University Press. Wertsch, J. (1988). Vygotsky and the Social Formation of Mind. Harvard University Press. In describing the qualities of sound, Ong (2002) points out to its evanescent nature as well as its capability of surrounding the speaker and immersing him/her in the center (p.71). In primary oral cultures this immersion affected man’s perception of the world and consequently generated an ego-centric approach in its interactions with it. On the other hand, spoken words have the power of binding together the speaker and the audience, uniting them in the “interiorizing force of the oral word” (p.74). In both Western and Eastern cultures, bards used to (and still continue to do in some parts) travel and recite or sing poems and personae tell stories to sustain the cultural heritage in a society. This helped build a “communal soul” (Ong 2002) that caused them to react to situations in a collectivist nature rather than an individualist’. The bards used to rely on their memory for recitation, but made slight modifications depending on the mood and receptiveness of the audience. As natural as the need to communicate orally with others, man’s desire to leave a permanent artifact that would withstand time led him to create a “sequencing of standardized symbols in order to graphically reproduce human speech, thought or other things in part or whole” (Fischer, 2001). This definition incorporates the first varied forms of bone and stone markings dating back to 100,000 years that point out to purposeful engraving as a form of writing, As mankind developed higher level thinking and artistic skills, he began to create more sophisticated artifacts. Cuneiform writing – which has been used as earliest as 3500 BC by the Sumerians and then the Assyrians in Mesopotamia grew out not only of the need to record business transactions, but also to spread the “word of wisdom” through epics, myths and proverbs (Kramer, 1961). Ong (2002) describes how when an alphabetical or other script enters into a particular society, it is looked upon with skepticism and even regarded as dangerous. Even nowadays, book burning is not an uncommon practice in parts of the world governed by totalitarian regimes. If written words cannot defend themselves because they are unreal, as Plato has Socrates declare in Phaedrus, then why is there such intolerance for them? There is no doubt that writing leaves a permanent mark in time when sound vanishes into air just like thoughts that flicker in a human’s brain do. Writing is indeed “the most important invention that has transformed human consciousness” (Ong, 2002). You have separated me from one of my own. Did you come as a prophet to unite, or to sever? I have given each being a separate and unique way of seeing and knowing and saying that knowledge. What seems wrong to you is right for him. This broken-open lowliness is the reality, not the language! Forget phraseology…. I won’t go to the remaining of the poem and its main spiritual message but it may emphasize the differences between the cultures, even 800 years ago. In module 2 of this course, Ong shows lots of valuable points to us in his book. According to Lippert (1982) “Ong’s book is a landmark for studying culture and communication”. In his well written book, Ong considers communication via different approaches by looking at the environment for communication, the environment of communication, and the environment created by communication. He explains how they are connected to each other. However, there are also some criticisms to Ong. The most serious of them comes from the categorical distinctions between orality and literacy. According to Connors (1988) there are numerous literacies, and to believe that reading-writing abilities in contemporary culture create cognitive abilities or constitute the only meaningful sort of literacy is narrow and discriminatory. Kaschula (1995) approaches oral cultures and the interaction with literacy from an African perspective that is close to orality in fact (in the analysis of the use of Xhosa poetry techniques in preaching styles). He objects that “One needs to be careful not to be rigid in one’s views of what exactly should make up orality as opposed to literacy in a society where both clearly coexist side by side” and feels that Ong’s description is too close to the great divide theory. However, even after 27 years of its original publication, Ong’s book is reprinted again and again. This proofs that his book to be a valuable source by readers to discuss. It is an open-ended study that invites more research to be done on human-literacy relationship. Perhaps if Ong had coined and used the term ORACY (orality/literacy) to indicate a continuity of his categories, more admires and less criticisms would have existed ! Connors, R. J. (1988). [Review of the book The muse learns to write: Reflections on orality and literacy from antiquity to the present.] Quarterly Journal of Speech, 74(3), 379-381. Ess, C., Kawabalta, A., & Kurosaki, H. (2007). Cross-cultural perspectives on religion and computer-mediated communication. Journal of Computer-mediated Communication, 12(3), 939-955. Kaschula, R. H. (1995). Preachers and poets: Oral poetry within the religious cosmology of the Xhosa. South African Journal of African Languages, 15(2), 65-73. Lippert, P. (1982). [Review of the book Orality and literacy: The technologizing of the word]. Etc., 39, 399-402. Ono, K. A., & Sloop, J. M. (1992). Commitment to telos–A sustained critical rhetoric. Communication Monographs, 59, 48-60. Walter Ong, in his 2002 edition book presents a black and white view of orality versus literacy. In his view the presence of literacy alters the human mind. On page 77, Ong refers to how writing restructures the consciousness of man, “Without writing, the literate mind would not and could not think as it does, not only when engaged in writing, but normally even when it is composing its thoughts in oral form”. In his historical explorations and in cited reports of studies of non-reading cultures, we are presented with his evidence to support that stance. The chart accompanying the commentary summarizes in very simple terms the way he divides the one state from the other, with page references from the 2002 edition.1 Though the chart summary is considerably simplified, it does give a sense of the strong reported divide between the two psychosocial states as put forward. Through the examples he gives, he assigns culture-wide transformative effects of becoming literate. Others such as Chandler feel the situation is more like a spectrum and that these two states may not be as separate as Ong purports them to be. Chandler in his chapters, Technological Autonomy and Reification in the Technological or Media Determinism study, explores this issue and states, “Rather than being ‘outside’ society, technology is an inextricable part of it”. The tools of literacy would be interpreted to be interwoven or melded within the socio-cultural milieu rather than being a separate ‘thing’ that influences. An area that is not dealt with within the course readings is the child, as pre-literate. A young child has many of the characteristics attributed to oral cultures, with the exception of agonistic or rhetorical since these are cultivated oral skills and attitudes. Early age language acquisition mimics early language and writing development historically, as pictorial representations of objects, or pictograms are slowly replaced by alphabetic writing for the developing child. Likewise some the attributes Ong has given to literates are present in pre-literate present-day children. They are informally logical, and categorical in their dealings with others and the world. Context free, and autonomous, children are in a world of their own. They are independent, and explore on their own. In support of Ong’s position is a study by Castro-Caldas & Petersson, et al. (1998) showing in fact that brain activity is changed by the process of learning in scans of the brain, not just in psychological testing. Secondary orality shares features with both primary orality and literacy, except with mixed media interlinking and retrieval, a third system is there—a new literacy, which many now term hypermedia. It is like a de-evolution, whereby bits and bytes are the new alphabet and the words are no longer the units of interest—it is the nodes or connections between key concepts that matter. The icons of the modern interface are a return to the pictograph, and emoticons and hypertext add depth, seeking to re-inject more contextual meaning. One might agree with Ong that literacy irreversibly changes the minds of those in the cultures or perhaps literacy has an impact on each individual’s developing mind as proposed. As the web has evolved, there has been an increasing proportion of visual and aural data, and hypertext, while static text is decreasing. Though some of this is due to increased bandwidth, the medium is changing fast in the 2.0 web and we are literally moving away from static black and white in secondary orality media environments. If literacy affects the developing mind, then early exposure to the post-literate fast-paced online hypermedia may change a human beings mind in a new way, as yet unfathomed. Ong, W.J. (2002) Orality and Literacy: The technologizing of the word. London: Menthuen. Plato, through Phaedrus, as alluded to in Ong reveals that the controversy about new forms of technology overtaking and even destroying the older forms is not a new phenomenon. Plato’s argument continues as Postman (1992) states that “a new technology does not add or subtract something. It changes everything.” Ong further argues that it is impossible for literate cultures to operate in like manner as pre-literate ones. Therefore, he is in a sense agreeing with Postman that since the technology of writing came into being, our society has changed considerably. Marie Clay (1994) in her many studies done with children, who led to the concept of emergent literacy, can offer insights into the positions held by these two theorists. Clay found out that reading and writing can develop simultaneously in young children. In other words some children do not learn how to read first and then write after. Writing is often easier for some children to begin with than reading. Orality and writing can function as partners as proven by these clinical examples. I am also an example of a child who would write beautifully and not understand a single word. Britton (1993) corroborates with his findings that has led him to posit that children naturally begin to write from the self, move on to write to get things done and finally begin to write creatively when they realize that writing is something that they can manipulate to unearth their individual creative instincts. How then can writing which most phonocentrists agree that is really speech written down be something vastly different from writing? New technologies do add a new dimension to other technologies as writing has. I believe that new technology emerges from each society depending on how the society perceives itself. Upon close scrutiny of the dialogue between Phaedrus and Socrates, one realizes that the conversation ends with Socrates offering the suggestion that writing is important in assuaging the transient nature of short term memory. This dialogue exemplifies that society will always resist change but once there is human desire for the change to occur, it most certainly will. Writing is a technology which converged with orality and this relationship will only expand as humanity creates even more diverse spaces for self expression. Therefore, the peoples who existed in pre-literate cultures are no different in their need and desire to find a way to preserve their heritage than those who are from literate societies that are still finding alternate ways to share ideas. This class is a prime example. Britton, James. (1988) Teaching Secondary School English: Readings and Application ed.D Sheridan New Jersey: Lawrence Erlbaum. Clay, Marie (1994) Writing Begins at Home : Preparing Children for Writing Before They Go to School. Auckland: Heinemann. Ong, Walter (1982) Orality and Literacy: Technolizing of the Word. London and New York: Metheuen. Postman, N. (1992) Technology: The Surrender of Culture. New York:Vintage Books. 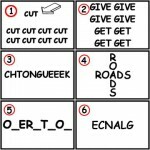 Orality, Literacy, Multiliteracy and K-12 Education in B.C. Try to imagine a culture where no one has ever ‘looked up’ anything. In a primary oral culture, the expression ‘to look up something’ is an empty phrase: it would have no conceivable meaning. Without writing, words as such have no visual presence, even when the objects they represent are visual. They are sounds…they are occurrences, events (Ong, 1982, p.31). In inviting us to imagine one of the characteristics of a primary oral culture, Ong introduces his chapter on the psychodynamics of orality, describing the characteristics of thought and expression in oral culture. For members of fully-literate cultures, it is difficult to imagine a context in which people have not had access to the written word whether for purposes of personal organization, expression or enlightenment. Similarly, it would be difficult, I suspect, for a member of a fully digitally-literate culture to imagine a culture where no one has ever “Googled” something. Ong’s presentation of the characteristics of orally based thought indeed draws attention to the patterns and generalities which differ from the characteristics of literate thought. For example, Ong (p.45) suggests that Oral culture is “empathetic and participatory” in the case of learning information; to acquire knowledge in oral culture is to become empathetic and close to it, while in so-called literate culture, the act of writing causes a separation, a distancing between the knower and the known. Moving further still, in the case of digital literacy, I wonder whether or not a written word transmitted via the Internet might be yet another degree of separation between the knower and the known. Yet, what does it mean to be ‘literate’? Ong discusses orality in detail, frequently contrasting it to literacy by means of discussing the features of oral-based thought. Although he does not provide us with a single, salient definition of literacy, in his distinction between the characteristics of oral and literate culture, Ong provides details that suggest that the meaningful use of reading and writing indicates literacy. This can be illustrated by the above epigraph. When Ong poses the contrast of ‘looking up’ information, he is specifically alluding to the ability to read and write information for the purpose of preserving and transmitting said information; a categorical feature of literacy. At the time that Ong’s work was first published, I would argue that the definition of literacy would not have been disputed a great deal, and that when one talked about literate people, one meant people who could read and write. In fact, Merriam-Webster (2009) simply characterizes literacy as having the ability to read and write. It becomes clear through Ong’s analysis that without this ability, oral cultures are unable to produce a language that is as grammatically complex, analytic, or novel as that of literate cultures. [T]he ability to identify, understand, interpret, create, communicate and compute, using printed and written materials associated with varying contexts. Literacy involves a continuum of learning in enabling individuals to achieve their goals, to develop their knowledge and potential, and to participate fully in their community and wider society. This definition, in contrast to the others presented previously, acknowledges a plurality in the concept of literacy; it allows for various forms of viewing and representing of written materials to be incorporated into literate society, allowing for the proposition of multiple literacies. Cazden, Cope, Fairclough, Gee, et al (1996) argue that the diversity and multiplicity of communication and culture in today’s world calls for a much more extensive view of literacy than past classifications based solely on familiarity of the written word. They propose that today’s globalized society does not fit the traditional view of literacy, and that technology-based and multimedia texts must also be accounted for as a part of literacy, or multiliteracy. Eshet-Alkalai (2004) broadens the idea of multiliteracy and extends it to digital literacy by naming five distinct literacies present among digital literates, including photo-visual literacy. The concept of literacy has changed since Ong first presented the characteristics of oral culture. In keeping with UNSECO and the Canadian Education Association, for students in B.C., literacy education now includes four categories, rather than the traditional two: reading, writing, viewing and representing (B.C. Ministry of Education, 2006, 2007), including specific learning outcomes for oral literacy, and allowing for greater participation from students of many cultural backgrounds, not just Ong’s ‘literates’. Are oral cultures at disadvantage when it comes to literacy education? Since Canadian society relies so heavily on the written word—be it by hand or machine—I would argue that yes, oral cultures are still at a disadvantage. This is especially pertinent as scholars such as Ong have historically devalued and dismissed oral culture as primitive or homeostatic (p. 46). Times are changing, however, and with the proliferation of digital communication and multimedia in the 21st century, multiliteracy, rather than monoliteracy appears to fit best. Cazden, C., Cope, B., Fairclough, N., Gee, J., et al. (1996). A pedagogy of mulitiliteracies: Designing social futures. Harvard Educational Review 66(1). Canadian Education Association. (2009). Some international and national definitions of literacy. Retrieved October 1 2009 from http://www.cea-ace.ca/foo.cfm?subsection=lit&page=fra&subpage=wha&subsubpage=som. Eshet-Alkalai, Y. (2004). Digital literacy: A conceptual framework for survival skills in the digital era. Journal of Educational Media and Hypermedia 13(1) p. 93-106. Ong, W.J. (1982). Orality and Literacy. New York: Routledge. UNESCO. (2003). The plurality of literacy and its implications for policies and programmes. UNESCO Education Sector. Retrieved October 1 2009 from http://unesdoc.unesco.org/images/0013/001362/136246e.pdf. This chapter is divided into two sections. In the first section, “The literate mind and the oral past”, Ong introduces the reader to the concept of a division between orality and writing by quoting many linguists and other scholars throughout history. He is painting us a picture of what human communication looked like before writing. He first quotes Ferdinand de Saussure noting, “Writing has simultaneously usefulness, shortcomings and dangers”, and that, “Still he thought of writing as a kind of complement to oral speech, not as a transformer of verbalization” (2002, p.5). This made me realize that is strikingly similar to how many people feel about information and communication technology (ICT). Throughout the chapter, I was constantly thinking about the analogy between the introduction and influence of writing and that of computers knowing that the latter is one of the main themes in this course. In this analogy, ‘orality’ (as pre-writing communication) represents ‘literacy’ (as pre-computer communication). Therefore, Saussure’s second idea above would be translated into, “…computers are a kind of complement to written communication, and are not a transformer of verbalization”. This is clearly not a perfect analogy, however it has given me an interesting and enlightening perspective on the influence of ICT. For example, Ong points out that out of 3000 spoken languages presently, only 78 have a literature (2002, p. 7). That is nearly 40% whereas the percentage of the world’s population using the Internet is less than 25% (2009). Ong goes on to explain how, despite much resistance and criticism early on, writing gradually and eventually gained more credibility than oral communication of matters such as law, science, business, etc. Part of that most likely had to do with how readily available the information was made as well as how objective it was. If it were only available orally, than whoever was looking for specific information would have had to locate the person who actually knew the particular information. Then when they found that person, the information might not be the same as the last time he or she said it. Whereas, if it were written in a wall, scroll, book, etc, the information would be much easier to access and would be the same every time it was accessed. This fits with the analogy where the Internet makes information much more accessible than traditionally having to go to a library to find written information that had a good possibility of being inaccurate because it was out of date. The example Ong gives from “Aristotle’s Art of Rhetoric” also fits nicely into the analogy; “rhetoric was and had to be a product of writing” (2002, p. 9). Most students that have access to a computer would not even consider composing a weblog entry, much less an essay, on pen and paper. If Aristotle were alive today, he might say that writing is and has to be a product of computers. That might be stretching it somewhat; however the point is that the vast majority of all writing today is composed on computer. Ong goes on to say, “Thus writing from the beginning did not reduce orality but enhanced it…” (2002, p. 9). Many educators today argue that students consistently produce more and better written work when they are given the opportunity to compose their thoughts on a word processor. The ability to easily correct mistakes, rearrange text, change words, etc helps students to relax and just let the thoughts flow. Does writing have to be a product of a computer? Probably not; but how often do you draft an important document with a hand held writing implement? The second section of this chapter is, “Did you say ‘oral literature’?”. This section brings us much closer to the present day thinking about the differences between orality and writing. Eventually scholars accepted writing so much that, “oral art forms were essentially unskillful and not worth serious study” (2002, p.10). Taking the analogy further, we can say that academic textbooks and journals are not (or will not be) trusted and used for research as much as electronic information found online. This again comes down to availability, convenience and the ability to maintain the most current information. In an online program such as MET, it is possible to complete all the coursework without ever setting foot in a conventional library. One of the most interesting and perhaps difficult ideas to envision in this first chapter is what it was really like to live without any writing (2002, p. 11). It is essentially impossible for literate people to grasp the idea. Concluding the analogy, sometimes I find it very difficult to remember what life was like before computers. Younger generations, of course, will not have the option of recalling that memory. Of the few (predominately) oral cultures left, hardly any are unaware of writing and its many benefits. They also know that by becoming literate, they will inherently give up many benefits of their primary orality. Knowing this is very difficult, but “we have to die to continue living” (2002, p. 15). Ong, W.J. (2002). Chapter 1: The Orality of Language. In Orality and Literacy. (pp. 5-15). London: Routledge. Last year during a particularly severe round of budget cuts a parent at a School District meeting asked why we spend money on books. She wanted to know if libraries were a thing of the past and should we be wasting money on print literature. Having a position as a teacher-librarian and being an avid lover of literature I found myself appalled at this statement. I was not alone. How could someone suggest that the book was a device that would sink into obsolescence? After all, I could never picture myself curling up with a laptop and reading The Life of Pi. But perhaps I am in the minority. 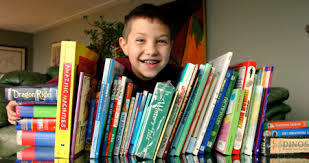 If the reading of books is on the decline as Caleb Crain (2007) suggests then it may be so that in the near future libraries will be converted to other uses in our schools. As a librarian I am particularly interested in how the notion of text is changing for my students and it was for this reason that rather than doing a degree in Library and Information Studies I chose to enrol in the Masters of Educational Technology program. As text changes so too does the job of the librarian in today’s schools. This position is increasingly becoming a technology position as more and more information is accumulated, stored and even created initially in a digital format (Grafton, 2007). Teacher-librarians must now become experts in multiple literacies as they help to guide their students through these varied information sources. In his article, Future reading: digitization and its discontents, Grafton (2007) addresses the rise and potential fall of the library and while the change that the modern library may not be matched in scale to the changes it has encountered before there is a great deal to be gained from examining its past in order to predict its future. In fact the impact of the rise of the printing press on the library was so profound that an entire system of cataloguing and managing the flow of information became necessary. As a librarian I am constantly discussing this issue with colleagues. Will librarians be tasked out to catalogue web-based information or is its status too potentially fleeting to make it worthwhile? Perhaps the most intriguing idea here is that even the staunch world of academia now turns to a search engine before it enters the library’s stacks when it begins research (Grafton, 2007). Grafton points out that journal subscriptions are on the rise and the sale of university-press books are dwindling and one only has to look at our own work in the MET program to see evidence of this. In fact, as UBC holds subscriptions for to electronic journals for student and faculty access it is becoming rarer that students are required to purchase custom course materials in print form for their courses. Grafton (2007) exposits that we will still need our libraries because the physical form of the text or book impacts how it is used and this cannot be duplicated in digital form. He speaks of historians gleaning information from notations made in family bibles and binding methods that speak to elements of social history. Concern here though is that he is addressing the book in historical context. It seems already relegated to a thing of the past. Where I think that the demarcation line may lie is between text in the form of information and that in the form of literature. While research and information gathering is increasingly dominated by the web the digital book has met with some resistance from those of us who love the feel and portability of a good book. Where the library must refocus itself is in dealing with text as it evolves into a digitally dominated format. It must refocus, as it has always done, to meet the needs of a changing text-space but its role as a place where literature lives will be slower to change. Crane, Caleb (2007). Twilight of the books: What will life be like if people stop reading? New York: The New Yorker. Grafton, Anthony (2007). Future reading: Digitization and its discontents. New York: The New Yorker. O’Donnell, James J. (1994). 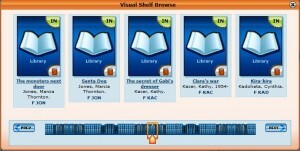 The virtual library; an idea whose time has passed. 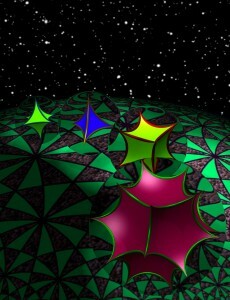 Gateways, Gatekeepers, and Roles in the Information Omniverse: Proceedings of the Third Symposium. Eds. Ann Okerson and Dru Mogge. Washington, DC: Association of Research Libraries Office of Scientific and Academic Publishing. 19-32. Teaching Elementary Text and Technology, are we Caught in a Power Struggle? A Commentary on Modern Text Teaching Practices. An issue that has become more apparent to me during my revision of the course readings is that text is a constantly changing technology that is difficult to define. If the nature of text is that it is constantly being redefined than why have we not completely adjusted our teaching practices accordingly? If the current generation understands text as something that is viewed on a screen then their rules and definitions are different that the traditional views of text. Why do (primarily, elementary) educators concentrate on the current ‘archaic’ ways of teaching writing with a pen and paper if this is the case? I propose that this phenomenon is based on power struggles between educators and the public and a lack of technological assimilation in the school system. Despite what many educators may think, there is a benefit in teaching these modern technologies. Bowers states this idea clearly in the following quotation: “Computers continue the tradition of representing print as a form of cultural storage… (Bowers et al, p.188).” If we think about text in this context there is much that can be learned about our teaching practices. Some modern internet writing technologies are frowned upon. We tell our students that facebook is a waste of time, and we do not encourage use of online forums, but why? Could it be that educators are worried about losing their grip on the power of text technology? “Some societies of limited literacy have regarded writing as dangerous to the unwary reader, demanding a guru-like figure to mediate between reader and text (Goody and Watt taken from Ong, p..92).” It seems that educators are engaged in a power struggle to maintain their control over the education system. There is no doubt to me that text and computers are becoming more linked together. It is commonplace for students to submit their assignments electronically. The modern workplace requires the ability to write and read text electronically. One thing that I’ve realized through the first months readings is that text is a constantly evolving process, from its origins in the oral tradition to modern computers. As educators we need to be able to evolve with those technologies in order to provide the workforce of tomorrow a modern text education. This starts with educators being able to accept that perhaps, it is our socially responsible duty to provide this education. Until educators are willing to work with, not against modern text technologies we will always have this struggle. “Where technology is used and where the teachers are given the right kinds of support and training and the right kind of equipment, then (they) are able to actually implement some of the best theory and practice regarding the teaching of writing (Viadero, 1997b, p.13). Consumerism in American Indian Quarterly, Vol. 24, No. 2 (Spring, 2000), pp. 182-199. The emergence of digital technologies challenges the traditional perception of writing as the inscription of characters (alphanumeric representation of ideas) onto a tangible medium. Changing storage media demands the incorporation of new definitions of writing to include non-tangible medium. In an era where many creators bypass traditional “hard media” in favour of electronic storage devices, what is “written” may in fact never involve “writing”. The detachment of the author from a work enabled the proliferation of a multitude of ideas; as Walter Ong states “writing establishes…autonomous discourse which cannot be directly contested or questioned” (Ong, p.77). While individuals can access multiple writings, the static format of traditional codex inhibits interactions with the text. Jay Bolter states “digital media are refashioning the printed book” (Bolter, p 3). Nowhere is this more evident than the multiple projects of compiling a universal library on the World Wide Web. While there are many who oppose the digitization of the printed page, the benefits are discernible and imaginable. The goal of literacy programs is for the reader to make connections (text to self, text to text and text to world) with any given texts (Keene and Zimmerman, 1997). The concept of a universal library and the magnitude of text distributions/manipulations possible by the World Wide Web revolutionize traditional views of literacy. In his article “Scan This Book”, Kevin Kelly depicts writing, bound as codex, as existing as an island; isolated from other texts. Similar to Ong’s perception that writing is the interiorization of thought, the separation of the word from the living present, Kelly states: “Its only movement comes when a reader picks it up to animate it with his or her imagination” (Kelly p. 3). The digitization of writings affords the reader the opportunity to easily connect to the world as well as other texts through the means of hyperlinks. Kelly presents the idea of a user-driven “library”; one where the writing in books can be “crosslinked, clustered, cited, extracted, indexed, analyzed, annotated, remixed, reassembled and woven deeper into the culture…every page reads all the other pages..” (Kelly, p 4). Readers will be able to personalize their literary experience further by the addition of tags “a public annotation, like a keyword or category name, that is hung on a file, page, picture or song, enabling anyone to search for that file” (Kelly p 4). Thus the text of the book or writing will no longer be separate from that of any other work. The deep links will allow users to traverse the “pages” of a book following link upon link ad infinitum. Additionally, readers will be able to “create” books from pertinent snippets from the abundance of information available on virtually every topic. Resonant of Ong’s description of oral societies that are empathetic and participatory rather than objectively distanced (Ong, p 45), Kelly proclaims “when books are digitized, reading becomes a community activity” (Kelly, p5). The shared annotations, hyperlinks, tags, etc. become fodder for interactions which transcend time and space. This is truly the conceptualization of “text to self, text to text and text to world” connections in a format heretofore unimagined, the remix into reordered books. It is interesting to note that while the medium is new, the concept of the personalization of the reading/writing experience is not. One has only to look at perhaps the oldest known medicinal works. De Materia Medica authored by Dioscordes was produced about 512 AD in its oldest and most famous form, an illustrated Byzantine manuscript. The Anicia codex version of the work was amended, rearranged and annotated as it passed through the hands of various owners, (Discordes, n.p.) similar to Kelly’s vision of the annotations of digital book pages. “From this deep structuring of knowledge comes a new culture of interaction and participation” (Kelly p. 6). Different perhaps, but not new. The difference will be in the dynamic interaction of ideas, not limited by constraints of time and space as were the static interactions visible in archaic documents. “Once a technology is admitted, it plays out its hand; it does what it is designed to do” (Postman, p7). Efforts to resist technological innovations are futile; (think Luddites) a better course of action is to embrace technological innovations and harness them. Bolter, J. D. (2001). Writing space computers, hypertext, and the remediation of print. Mahwah, N.J: Lawrence Erlbaum Associates. Keene, E. O. and Suzanne Zimmerman. (1997). Mosaic of thought teaching comprehension in a reader’s workshop. Portsmouth, NH: Heinemann. Ong asserts, in his discussion [pp78-81] that Plato’s views about writing as expressed in the Phaedrus, demonstrate a reactionary response to the advent of writing, which was perceived by Plato as a threat to the primacy of orality and of the spoken word (Ong, 2002). Ong places Plato’s critique of writing along side similar critiques that have been issued by various figures over the course of the history of western culture during periods of technological transition. Ong mentions Hieronimo Squarcifico for example, who believed that the proliferation of books [circa 1477] was leading to a population that was less disciplined and less studious (Ong, ibid). Resistance to technological change, and an investment in the status quo, were not the only characteristics of Plato’s views. According to Ong, quoting Havelock (1963) Plato’s entire epistemology “…was unwittingly a programmed rejection of the old oral, mobile, warm, personal interactive lifeworld of oral culture…” (Ong, ibid, pp79). He also states that Plato was “not at all fully aware of the…forces at work in his psyche to produce this reaction or overreaction…to lingering, retardant orality” (Ong, ibid, pp 80). This discussion will explore some of the implications of Ong’s claims and examine the epistemological and philosophical underpinnings that provided support for Plato’s position. It will be shown that there was much more than just a resistance to a new technology, and a rejection of oral or written culture, involved in this critical stance about writing asserted by Plato. Plato’s denigration of writing and more generally about the role of art, was consistent with the ontological schema that supported his fundamentally mystical philosophical worldview. A little background about the Phaedrus itself makes sense here. It is Plato’s famous work examining the nature of Love, through a dialogue purporting to be a discussion between Socrates and one of his colleagues Phaedrus. Important for our purposes here, it discusses some of the characteristics of writing and reveals also a critique of the role of artists [including poets] in society. Ong lists four items that Plato suggests are wrong with writing; that writing is inhuman, that it destroys memory, that it lacks interactivity and that consequently it is passive. 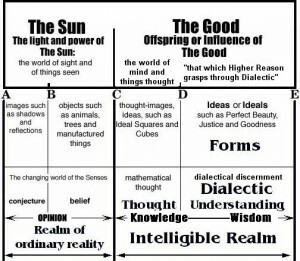 To understand why these characteristics and especially why interactivity was so critically important for Plato, it is necessary to understand the hierarchical nature of the Platonic world. The highest discourse or reasoning procedure possible in pursuit of the ultimate virtue [Knowledge] is achieved through the interaction of oppositional pairs. Meaning is derived from the tension between two poles [one vs many, etc.] or is derived from the back and forth motion of thesis, ant-thesis and synthesis (Jones, 1970). Ong fails to discuss the fundamentally mystical [not agnostic] philosophical system [The Forms, Hierarchy of Being] that supported Plato’s views. His hierarchical ontological schema [idealism] places man within a dualistic reality in which the world of sensory impressions [The World of Appearance] and observational data are not be trusted. That is, it is not the outside world [the world in which one makes scratches on paper or applies paint to canvas] that is the ‘essence’ of what it is to be human, nor, importantly, can one ever really know this outside world commonly referred to as ‘reality’. The ‘Essence’ of being, and the highest form of knowledge, can be apprehended through reason, it cannot be written down or ‘pictured’, made visible, etc. Plato, using Socrates as his voice, sought a solution to the threat [as they both perceived it] of Sophist relativism, which they believed would lead to a society of moral anarchy. It was this perceived need to counter relativism that was largely responsible for Plato’s development of a rationalistic system and his concept of the Forms (Jones, 1970). Plato’s ideas about the nature of he Forms is complex, full exposition of the subject lies outside of the scope of this discussion. However a brief synopsis of it is required to understand Plato’s hierarchical constructs of both reality and of the mind. Plato asserted that knowledge cannot be of nothing, of that which does not exist, and that real knowledge is eternally true and unchangeable. Therefore, the objects of knowledge, which he called Forms [or Ideas] must be eternal and unchangeable also. There is a form for every class of objects, [dog, table, beauty, god] and perceivable objects themselves are merely imperfect copies of the Forms. The nature of reality that unfolds from these crucial assumptions is laid out in the” The Republic” in the metaphor of he Divided Line wherein reality is segmented into a dualistic schema, the Intelligible World and the World of Appearances. Important to his construct of the mind is the hierarchical division of states of mind, thus, within the World of Appearances and at the base of the hierarchy is Imagining [including the production of art], which is the lowest form of cognition. Ascending ‘up’ to the next level is a better way of perceiving, the realm of Belief. Within the Intelligible World, the first level of the states of mind is Thinking, where the first type of real knowledge [mathematical knowledge] is attained. 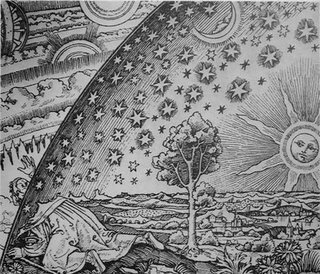 Finally as one ascends to the highest level to the realm of the Forms themselves, one has the potential to achieve true Knowledge [gnosis], arrived at through the employment of dialectic reasoning. In summary, although Ong correctly notes some of the objections to writing made by Plato, he is not just another exemplar of a reactionary, as it relates to historical change nor in terms of an example of a simple or binary rejection of oral versus written culture. Writing in the Platonic world, like art production, takes place in the world of appearances. Therefore, it can only be a pale copy, a transcription of the process, [later refined and expanded in the work of Kant] of dialectical reasoning. Plato’s views on writing were not merely a reaction or response to, a transition from orality to written culture but rather, a logical outcome of the profoundly complex views expounded in his philosophy.